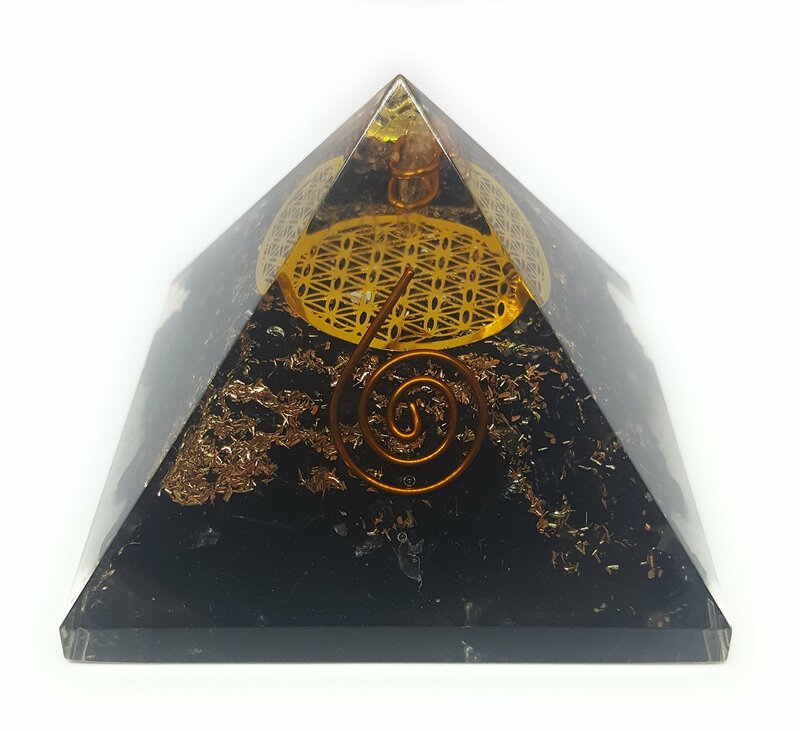 The Flower of Life Orgonite Black Tourmaline Orgone Pyramid is a high protection and healing energy orgonite pyramid. This orgonite incorporates The Flower of Life symbol above a bed of black tourmaline above which the copper coil encased quartz crystal point is suspended. This gives a potent emission point for the positive energy this black tourmaline orgone pyramid produces. “Black Tourmaline crystal is a powerful stone for protection against negative energy of all kinds, as well as being a strong spiritual grounding stone. This is one of the most popular crystals to be used for metaphysical purposes. Many people and I am amongst this group, believe this is the best protection stone that you can use.” Quote from Healing Crystals For You. The Black Tourmaline Orgone Pyramid can work as a powerful assistance for protection and healing, especially in meditation. The energy of Black Tourmaline, amplified within an orgonite, is a great stone to have in your immediate personal workspace, meditation area and in your sleeping area. If you suffer from recurring nightmares or fears, try putting this orgone pyramid on your nightstand or under your bed at the head end. Quartz is a Master Healer stone. It is an excellent all-purpose crystal healer stone. It is said to amplify healing energy. Information and insights with thanks, from Crystal Meanings and More. 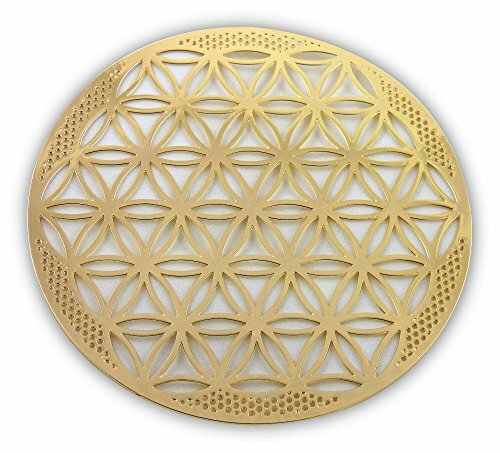 There are many spiritual beliefs and harmonic relationships associated with the Flower of Life. This title is given to a set of geometrical figures composed of multiple evenly-spaced, overlapping circles, that are arranged to form a flower-like pattern with a sixfold symmetry. Having been found in temples from Ancient Egypt, China, India and Europe. Its place in Sacred Geometry has spread beyond single spiritual belief systems into Quantum physics and has a wide respect as a harmonic mandala. Obvious symmetry with the flower of life can be found in the outwardly emanating harmonic waves of atomic matter. The molecular lattice in a crystal and any pure element can have a similar perfect atomic geometry that can match the three-dimensional flower of life pattern. Throughout nature, one can see similar flower of life patterns from sea shells, pine cones, cacti, flowers and so on. Of particular interest is the amplifying energetic effect of aligned frequency fields that the flower of life represents. When one magnet is joined to another in perfect alignment the singular strength of those two magnets is doubled. When an atom in a crystal aligns geometrically with billions of other atoms a vast flower of life frequency field occurs at the nano level. When two photons align perfectly in a laser beam the amplification occurs without the random loss of energy that an incandescent light has. 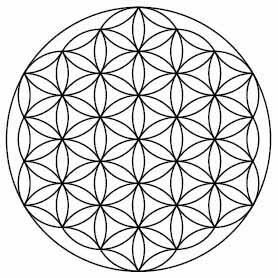 The flower of life shows a geometrical perfection of expanding energy and thus is respected as a potentially life-giving pattern with parallels to the DNA matrix. The vibrating electrons that rotate in a crystals molecular lattice (all electrons spin and are waveforms) create an emanating and or radiating frequency field. This icon reminds one that the understanding of the flower of life patterned quantum field is matter or energy emanating in intelligent directions. Tourmaline is a type of stone with a number of colors. Tourmaline generally is a stone that can increase flexibility, happiness, hope, objectivity, compassion, and serenity. It also enhances tolerance and understanding. It is a stone that is very helpful for channeling. Tourmaline is also generally a stone of protection. Black Tourmaline is also sometimes referred to as Schorl. Black Tourmaline is a well known as a purifying stone that deflects and transforms negative energy making it one of the most protective forms of tourmaline. Black Tourmaline can help remove negativity from individual and the immediate environment. Black Tourmaline is often used as an auric field cleanser. Removing negative influences and energy from the energy field can cause a significant boost to attaining states of higher awareness. Black Tourmaline is also used for protection against intentionally directed black practices such as black magic. Black tourmaline gives protection against entities with evil intentions and is said to return dark or negative thoughts or intentions to the sender. Black Tourmaline is possible that the black tourmaline’s effect of grounding excess energy gives this impression. Schorl has also been used to deflect EMF radiation energy from TVs, computer monitors, and other EMF sources. 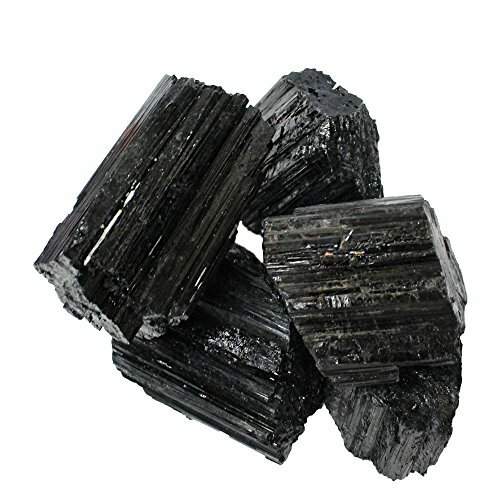 Black Tourmaline is powerful in grounding energy and it is often used to deflect EMF radiation energy from TVs, computer monitors, and other concentrated EMF sources. Black Tourmaline is excellent for dispelling fears, obsessions, and neuroses, helping to bring emotional stability. Black Tourmaline is associated with the root or base chakra. Aluminum has a very calming effect on nervousness, fears and feelings of guilt. A typical indicator is the feeling of impending madness. Aluminum encourages the facility to express feelings and releases behavioral patterns of holding onto things as well as holding back. Stimulates the desire for change and alteration. Aluminum helps with the loss of identity, finding ourselves again, and who we really are and our task in life. It encourages a sense of reality, soberness and alertness at any given moment, aids recognition of the seductions of modern life as the illusions they are and helps us to deal with them. ✔ BLACK TOURMALINE Has Strong Grounding Energy, Gives Protection against negativity. 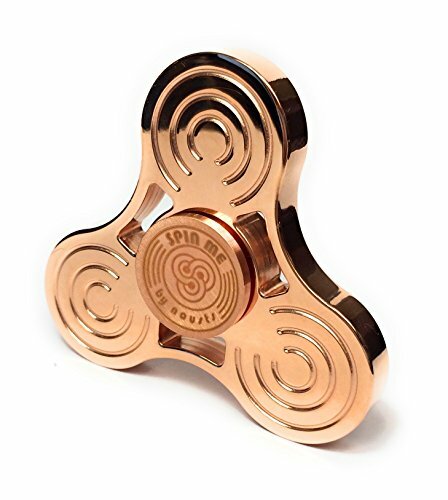 ✔ This product is handcrafted and there might be slight deviations in size, shape, and color compared to image shown here. Orgonite is a mixture of catalyzed fiberglass resin with metal shavings, particles or powders, poured into molds. It is said to attract etheric energy similarly to Reich’s accumulators. Having an orgonite product on you is like having an energy transformer in your energy field. It will clean up stuck or armored energy structures in your energy field. A body has a fine energy structure, described as the chakras (energy centers). Chakra is a Sanskrit word meaning wheel or vortex, and it refers to the seven energy centers in our bodies of which our consciousness, our energy system, is composed. These chakras, or energy centers, function as pumps or valves, regulating the flow of energy through our energy system. BLACK TOURMALINE releases negative ions and infrared radiation – these are very beneficial for health. This incredible stone is associated with protection, grounding, health, happiness, luck, and positivity. Black Tourmaline is considered by many to be the most powerful protective stone and it is one of the only stones that protects and heals on all levels – physical, emotional, mental and spiritual. The Flower of Life Orgonite Black Tourmaline Orgone Pyramidis: 2.7” high (69 mm) x 2.7″ base (69 mm) in size. aluminum, Black Tourmaline, brass, Clear Quartz, copper, The Flower of Life. Bookmark.